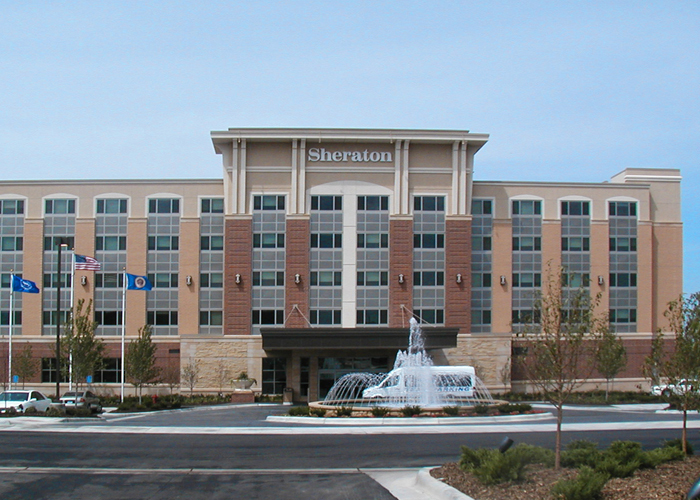 The Sheraton St. Paul Woodbury is a full-service, four-star hotel located in an eastern suburb of St. Paul. The five-story structure uses cast-in-place shear walls with structural steel transfer beams and columns at the first level and masonry shear and bearing walls with precast concrete floors and roof on upper levels. 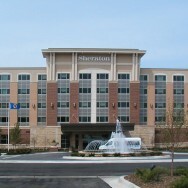 The 81,000 square foot facility has 150 rooms, a restaurant, fitness center, pool, and 2,000 square feet of meeting space, including conference rooms with movable partitions. Other structural features are lowered foundations, to accommodate the swimming pool at ground level, and a cantilevered entrance canopy.